Swerve created a new standard in convenient charging with the integrated charge table. 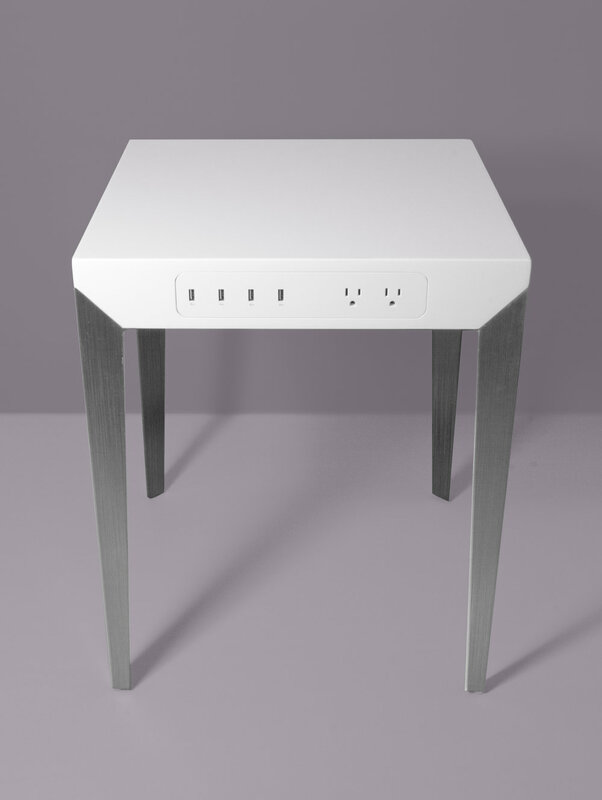 The table combines a lacquered surface with brush finished steel legs, and a flush panel of mains and USB charging points. The design was developed to fit in the contemporary homes of modern consumers and is scaled to be suitable as both a bedside or side table. As with all our projects, we look to create simple, useful, and compelling designs by considering how the consumer lives and observing areas where better solutions can provide a better experience.